Report of fulfilment of the plan of Transfiguration Church complex resoration. Schedule of works. Information about the first archaeological findings on Kizhi Island and in its surrounding area. The history of archaeological investigations of the Stone Age – the Modern Age monuments. Archaeological surveys carried out by the Kizhi museum expedition on the territory of Karelia. 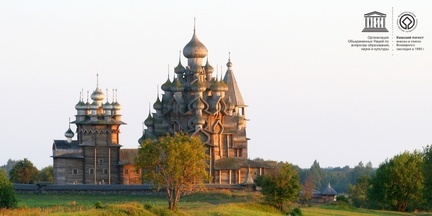 The educational and training center on wooden architecture conservation is eager to welcome you on Kizhi Island, the Island of beauty, harmony, transfiguration and unique architecture monuments.